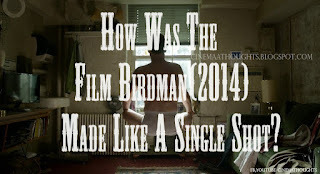 Home / Art Things / How Was The Film Birdman(2014) Made Like A Single Shot? 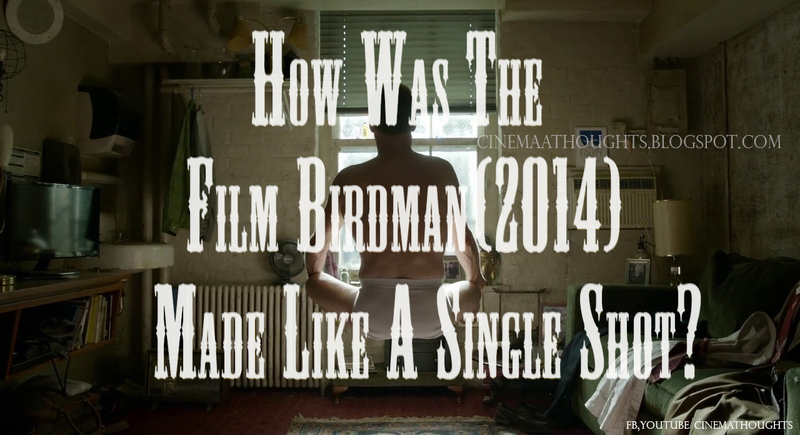 How Was The Film Birdman(2014) Made Like A Single Shot? The Birdman is a 2014 film directed by Alajandro Gonzalez Inarritu won the Academy award for this film.The film Is about a former Super Hero Actor comes to Broadway to make films. and a broadway critic find him non worthy artist as he was from hollywood,and thinks he was here to make money.The Protagonist became fame after all the struggles with His Actor,his drug addic daughter,people and the critic.and proved himself as an artist.It is truly a black comedy ,thus it attacks the other super hero films and showed itself like a reality/real life.So the Whole film is Showed as a single shot as the real life have no cuts and edits. So How They Made It? The Camera man pans the camera through out the films every 2 seconds.It is the first trick,The Cut was made from them.Yea... Pans.as the first shot ends in a frame of pan ,The next shot begins in the exact frame where the previous shot ends with a normal editing. You Can't tell the difference as it hold the same area. There Are Always an Unnoticed barriers split up the frame for atleast a second.That's the other trick.If you watched closely you can see barriers which helps to cut the prevous shot and joins them to the next shot. The transitions used between two shots are also helped to look like a single shot.While the previous shot goes to frame a non living subject ,The next shot begins From the same end where the previous one goes.Yes it is a transition with a edit cut it is within the method of pan cut. Timelapse ,it is always a great way to make a single long shot ,you can set the camera at something/a non living subjects with light changes and can go for a dinner, date and comes back to take the next scene and It All look like a single Shot with out any interrupt cuts.But It takes one thing the hour(of particular camera).